The T303 treadmill is Horizon Fitness’s top of the line model and represents the best that the award winning fitness equipment manufacturer has to offer in treadmill technology. It’s an exceptional treadmill that offers advanced ergonomics, a bevy of innovative features and numerous extras that will make your workout convenient and dare we say it even fun! It’s designed to quickly get you on the road to fitness and better health for a very attractive price. The Horizon Fitness T303 treadmill features Horizon’s innovative 3-zone variable cushioning system designed to minimize stress and strain on your feet, legs and back while providing a very comfortable workout. Adjustability allows you to set the level of cushioning for a uniquely personalized running experience. 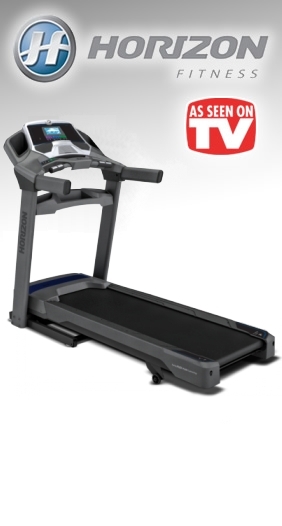 The T303 treadmill also offers Horizon’s advanced Goal Center for advanced workout tracking. This advanced computer allows you to set your fitness goals and then easily monitor your progress over time. It’s an excellent way to motivate yourself and reach your goals more quickly. The console also allows you to monitor your heart rate with the included hand grips. And if you have a long stride the T303 is the treadmill for you with its extra-long 60″ deck designed to accommodate speed and long strides. 3-Zone variable cushioning minimizes stress and strain to provide a comfortable low-impact running experience. Extra large 20" x 60" running surface is perfect for all runners, especially those with a long stride. Set fitness goals and monitor your progress with the advanced GoalCenter Performance Tracking. Large 5.75″ blue backlit LCD keeps you fully informed of stats and progress while working out. Console provides feedback on multiple data points including speed, distance, calories, time, incline and heart rate. Folding frame makes storage quick and easy for anyone. Console lets you plug in your iPod or other mp3 player and listen with built-in console speakers or headphones. 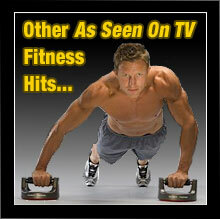 12 fitness programs ensure a challenging and effective workout each time you exercise. Monitor your heart rate with the convenient hand grips. Conveniently accessible water bottle holder and reading rack. Heavy duty 2.5 CHP (Continuous-Duty Horsepower) motor designed for long life and quiet operation. Hook up your iPod to the mp3-compatible speaker system and power up your workout with your favorite music or audiobooks. It’s a great way to stay motivated while running! 12 workout programs (manual, mountain climb, speed intervals, HR intervals, peak intervals, 5k, 10k, cardio burn, muscle toner, strength builder, + 2 custom programs) to choose from means that you’re always assured a challenging and vigorous workout – regardless of your fitness level. The T303 also offers a stability bar that doubles as a convenient storage compartment, providing extra security for more vigorous workouts and extra storage for your workout accessories. And for those whom space is an important consideration you’ll love the T303 treadmill because it also features a convenient folding frame. When you’re finished working out simply fold the treadmill save valuable floor space. 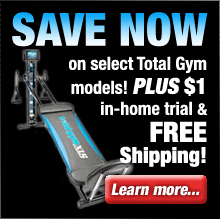 The T303 treadmill utilizes a powerful yet quiet 2.5 CHP treadmill motor. This is a great feature as some competing treadmills can be rather noisy which can be a real bother if you like to watch TV while working out. The Horizon Fitness T303 treadmill incorporates all of the top features and technology that Horizon Fitness has to offer. It’s an exceptionally well-built and feature-rich fitness solution and it leaves lesser treadmills in its dust. What are you waiting for? Try it out for 30 days and we’re sure that you’ll completely agree!